Examine the history of America from a Christian perspective. 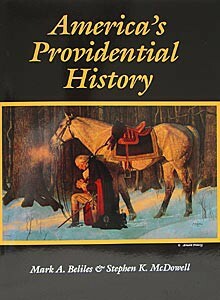 Highlights include the providence and purposes God has set for our country. Topics include Providential Geography, The Chain of Liberty, The Pilgrims, The Colonies, Christian Principles of Economics and more. Softcover. 270 pages. Recommended for 6th grade and up.